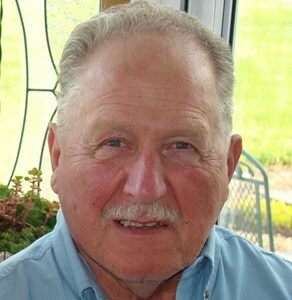 Patrick Francis Nellis, (b. August 14, 1941 - d. March 28, 2019) son of the late Goldie and Rosemond (LeGrave), husband to Patricia (Smet) of 54 years. Father to 3 children, Michael (Lori), Michelle (Rick), and Matthew (Lisa) and 24 foster children. Grandfather to 6 grandchildren, Shayna Horacek (Murphy) and Shelby Nellis, Alexandria and Hannah Steele, and Jackson and Logan Nellis. Siblings, Francis (Millie), Rita Columb (Irwin), Gerald (Janet), Bertha Stoller (Frank), Geraldine Shebesta (Leo), Carolyn Conrad (Jack). Patrick graduated from Brussels High in 1959 and was top of his class at Kenosha Tech studying Fluid Power and Hydraulics. He also served his country for 18 years in both the Navy (active) and Army Reserves. While he worked in a few companies to get started, his major employment was at Paper Converting Machine Company for 34 years. Steadfastly supporting his family during this time being the Mr. Fix-it, Mr. Dependable and Mr. Honesty and all of his wonderful attributes he quietly passed on to his children and foster children. In his earlier years, he enjoyed riding his motorcycle and was a founding member of the Sports and Competition Motorcycle Club in Denmark. He also enjoyed coaching hockey with his son at the De Pere Youth Hockey Center. Many family vacations were all about camping, fishing, and enjoying his family and dear friends . His passion for woodworking gave many happy hours working with his wife in creating cherished heirlooms for family, friends and fundraisers at church. Patrick was always an outdoors man tending to his home and made it happen in the best way he could, always with purpose, playing with all of his big boy toys. Visitation will be held at Immaculate Conception (N5589 County Road E, DePere), Wednesday, April 3, 2019 from 9AM until 11AM. Mass of Christian Burial will take place at 11 AM. Private inurnment will take place at Immaculate Conception Cemetery. To leave an online condolence for the family, please visit www.NewcomerGreenBay.com. In lieu of flowers, please donate to the American Diabetes Association Research Foundation. Pat's family would also like to thank Sherri Szczepanski and staff for their many years of diabetic education, care and support, and Unity Hospice for their amazing comforting care during his final days. Add your memories to the guest book of Patrick Nellis. Thanks for the memories of getting fresh harvested grapes to produce my several different vintages of St. Pat's White! Deepest sympathies to Patricia & family on your loss. I enjoyed the limited time I met with Pat. You are in my thoughts and prayers, Patti, as you mourn the loss of Pat. Thank you for your kindness and thoughtful sharing through the years. I think Pat and John are taking a few minutes rembering, as well. May you find peace in the coming days and months. I worked with Pat for many years at Auto Zone. He was a great guy. He will be sadly missed. Condolences Pat on the loss of your husband. Thank you for every thing you did for me and my son. Wishing you the best. We are sorry for your loss and please know our thoughts and prayers are with you at this time. Our heartfelt sympathy goes out to you and your family with fond memories forever.